Capcom has been on a roll with great PC ports for their console games. Resident Evil 6 is no exception to that rule. Like Devil May Cry before it, Resident Evil 6 for the PC is the definitive version of the game. That is, until an “Ultimate Edition” of the game is announced (this is Capcom, after all). 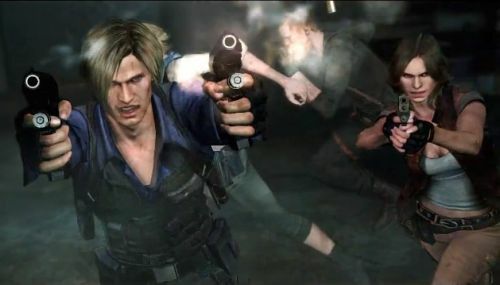 Resident Evil 6, the latest game in the series, was in many ways a departure from the formula of Resident Evil 4 and Resident Evil 5. The game abandoned tank controls in favor of a more streamlined approach to combat, and changed the flow of missions to make it more arcade like. 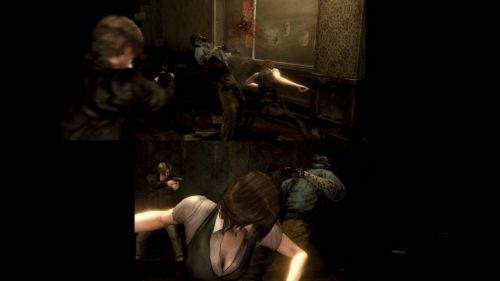 However, despite the apparent goal to modernize the game, the missions were long and at times too diverse, never truly immersing the player into that hallmark Resident Evil experience. For fans of modes like Mercenaries, and for those who love a great TPS, Resident Evil 6 was a solid entry into the series. For those who yearn for Resident Evil 2 Redux, the game was a flop. From a cooperative standpoint, the game succeeds as a fun mission-based romp. There is incentive to score higher ranks on missions and complete harder difficulties. Mercenaries mode is a sort of religion to itself (fans of the mode know what I’m talking about). The improved action mechanics make Mercenaries even stronger than before, and all of it can be played cooperatively. For a complete review of the original Resident Evil 6, take a look here. So, what exactly sets Resident Evil 6 for PC apart from the console version? The answer in a word is “definition.” Graphically speaking, the PC version is miles beyond the console version. On my modest PC, I was able to average 60 FPS with relatively no hiccups. There are standard graphics settings to tweak the game to your rig in the options menu. The game interfaces with Steam as well. When you boot it up, a list of your friends who are in Resident Evil 6 pops up. The keyboard navigation for the menus is a bit clunky, but manageable. Inviting friends to a game is easy with the Steam interface, but there are a few glitches. 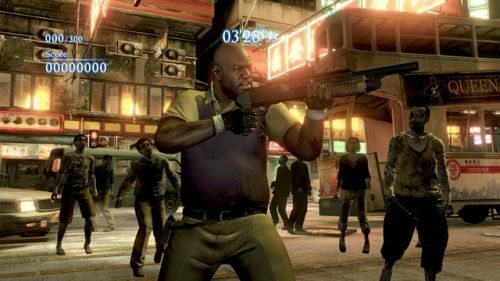 The game features infrequent connection issues, which may be remedied in a patch, or possibly by connecting your game to ResidentEvil.net. Like the original console game, cooperative play is drop-in. Perhaps the greatest addition to the game is the ability to use a mouse and keyboard. My zombie killing skills were instantly increased by using the mouse and keyboard, with precision aiming becoming a breeze. The action-oriented gameplay really lends itself well to a PC setup, and I was most pleased with this result. Of course, if you prefer to use your Xbox 360 controller, the integration is there to do so. Another great feature that is lost in many PC ports was splitscreen co-op. I was pleased to find the mode in the PC version. As an increasing number of gamers hook their PC’s up to their TV’s to game, and with the promotion of services like Steam's “Big Picture Mode,” keeping splitscreen in PC games is of utmost importance. There are a few extra PC additions that improve upon the original console version. There is immediate access to Ada Wong’s campaign – with the ability to play cooperatively. There is an option in the settings to fine tune the in-game camera. There is also full use of ResidentEvil.net for PC owners of the game. The four additional modes that came out for consoles – Survivors, Predator, Onslaught, and Siege – will also be available to PC “sometime soon.” Future updates made to the console version will be made free to owners of the PC version. Finally, on April 5, Resident Evil will meet Left 4 Dead in a fun Mercenaries crossup mode titled “No Mercy.” Players will be able to control one of four survivors of Left 4 Dead fame, while facing frenzied mobs of zombies and enemies from Left 4 Dead. Check out the trailer for that mode here. In sum, the PC version of Resident Evil 6 is by far the superior version of the game. If you have been waiting for the PC release, and your computer meets the system requirements, then this version of the game is worth your money. I would also argue that if you truly enjoyed Resident Evil 6, and are interested in playing the game with a keyboard and mouse at 60 FPS, you should also check out this version. There is a lot of content here for the appropriate crowd at just $39.99.